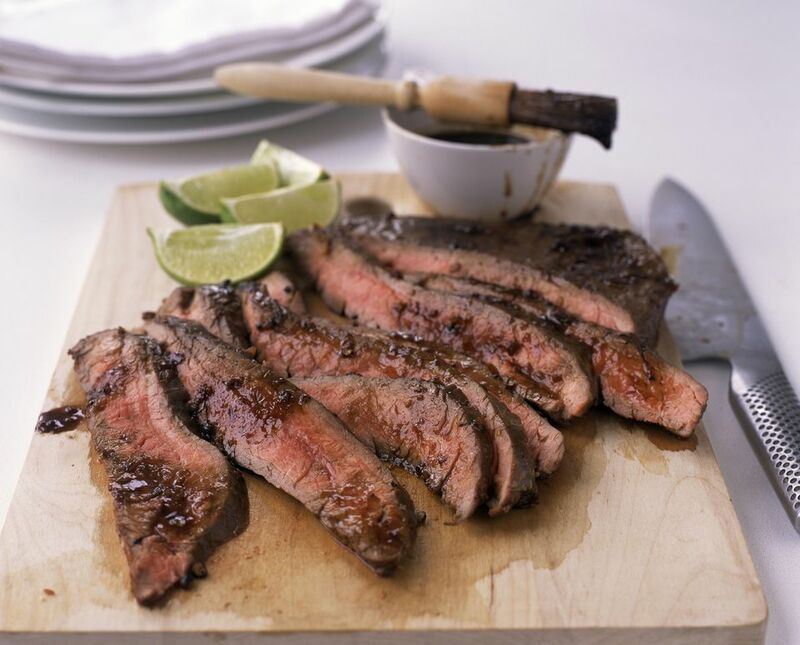 If you love spicy food, you'll love this East Asian inspired flank steak. If you're not too keen on the spice, you can always omit the red pepper flakes and reduce the amount of chili oil listed in the recipe. 1. Place flank steak in a shallow glass dish or resealable plastic bag. Combine remaining ingredients and pour onto steak. Turn to coat a few times, Cover dish (or seal bag) and allow to marinate in refrigerator for 2-8 hours. 2. Preheat grill for medium heat. Remove meat from dish, reserving marinade. Place steak onto grill and brush liberally with marinade. Cook for 5-6 minutes, turn, brush with marinade again and cook for additional 7-9 minutes. Please not that steak can be cooked to your desired doneness. 3. Remove from heat, let rest for 5 minutes, slice and serve.